Great weekend get-away or simply a relaxing place to live. Sitting among scattered trees, you see wildlife from the porch/deck. 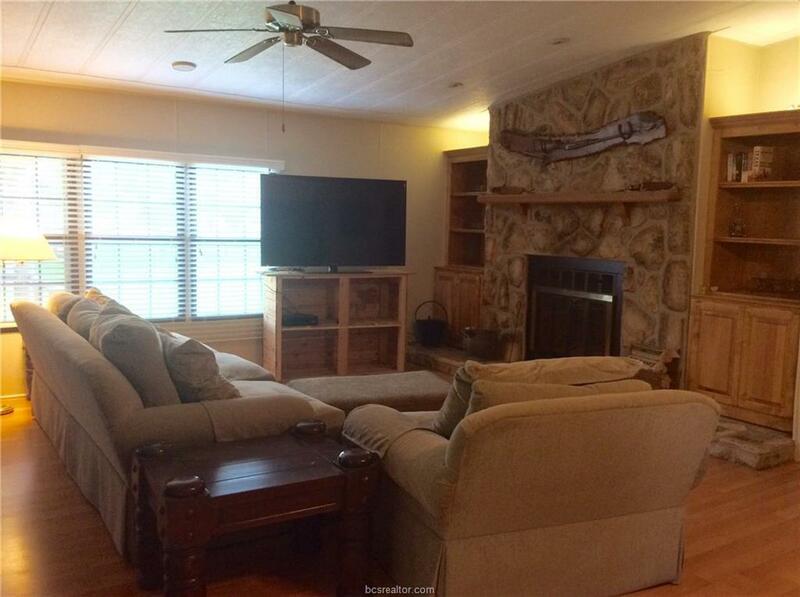 Fully remodeled master bath, upgraded appliances and other updates. 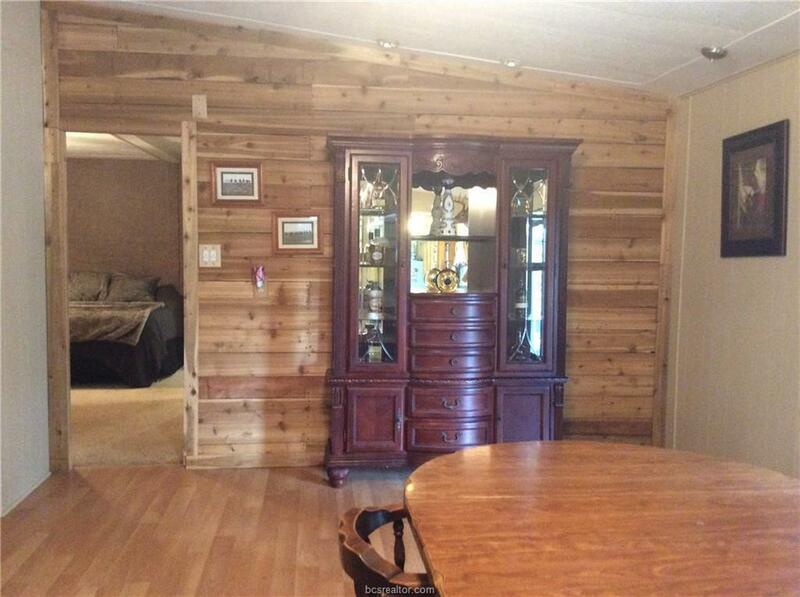 3 bed, 2 bath, open, beautiful rock fireplace, built-in shelves, wood accent wall, serving bar, and tons of storage. Master has an on-suite w/shower, double sinks and large closets. PLUS, large building and smaller storage building. 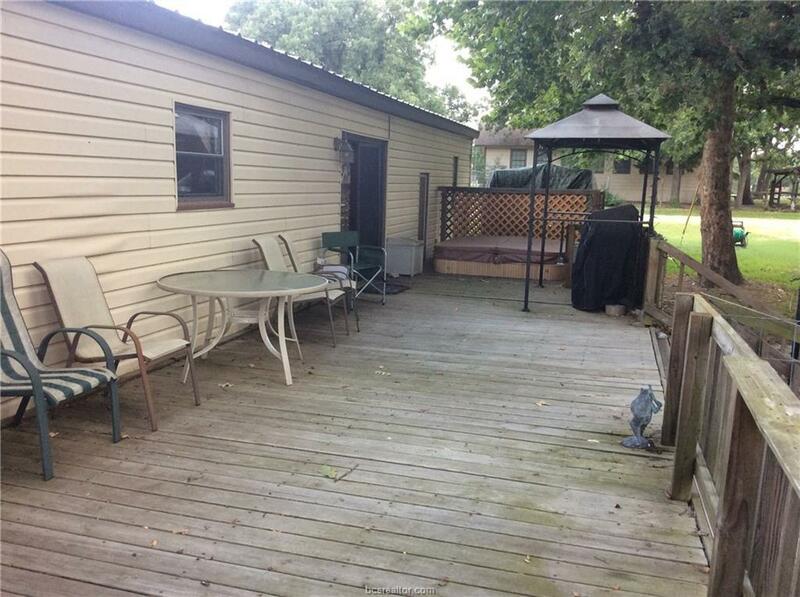 Huge entertainment deck with a hot tub and a large carport to hold your car and boat. Ready for you to come and enjoy! Subdivision has paved roads, trash collection area, swimming pool, community center and just moments from the lake and Birch Creek State Park. Listing information © 2019 Bryan-College Station Regional Multiple Listing Service. 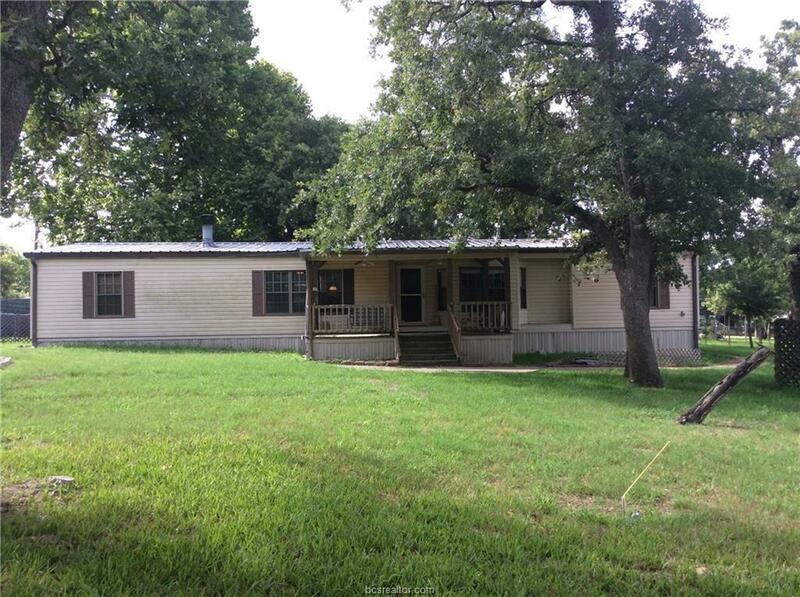 Listing provided courtesy of Kay Macik of Barnett Real Estate.